​Nike have launched the new PhantomVNM, which feature the 'Precision Pwr' strike zone and are specially designed for the world's best finishers. The boots will be worn by the likes of Tottenham Hotspur talisman Harry Kane and USWNT co-captain Alex Morgan. The PhantomVNM is created with the understanding that power alone cannot score goals, with accuracy a significant part of what it takes to find the net. "My finishing is a balance between power and placement. It depends where I am in the box, but I'd say my focus is usually 60/40 accuracy versus power," Morgan said. The unique 'Precision Pwr' strike zone features 13 ridges all specific angles and ascending heights. It will provide 'bite' on the ball and will help keep shots down even if they are mishit. 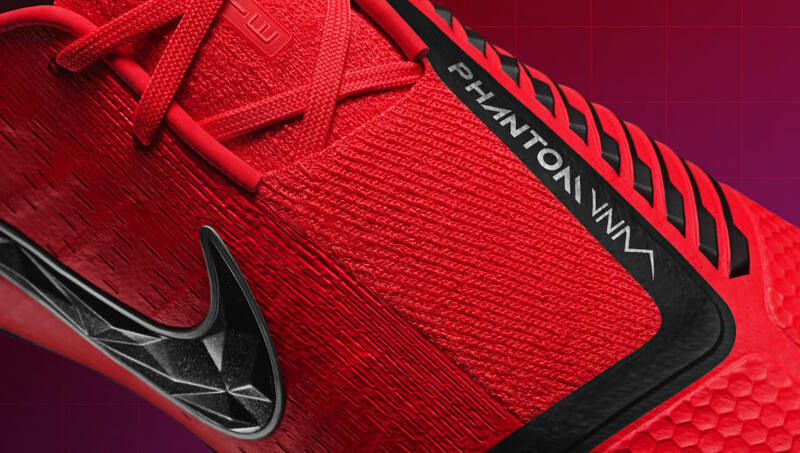 PhantomVNM increase the strike zone area, which is 30% larger than Nike's Hypervenom3. "We teamed up with our research lab to utilise a robotic leg to test strikes from a variety of angles with urethane injected 'blades' across the instep," Jeongwoo Lee, Senior Design Director for Nike Football Footwear, said. "This enabled us to go deep statistically on the impact that the various blade iterations had on accuracy, elevation, power and spin. The lab data helped us land on the exact specifications of Precision Pwr strike zone built for finishers."